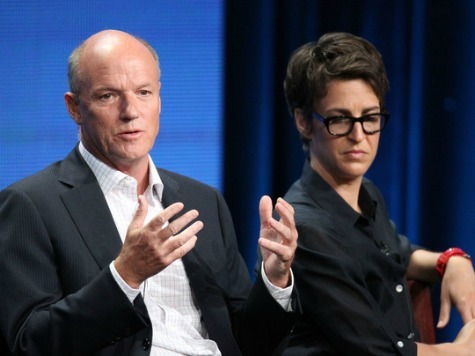 On October 8, Fox News’ Megyn Kelly topped MSNBC’s Rachel Maddow so badly in the ratings that MSNBC President Phil Griffin is sure that something is “fishy” with the ratings. He’s even calling for some sort of investigation. Nielsen ratings on Monday, October 7, showed Rachel Maddow beating Megyn Kelly’s debut show by some 10,000 viewers, but by Tuesday Kelly garnered more than 300,000 more viewers than Maddow in the important 25-54 demographic. Nielsen also reported that Kelly beat Maddow on Wednesday and Thursday. Griffin went on to say that the Tuesday ratings made Fox look like it had “election night numbers” and said the stats couldn’t possibly be true. But as Hollywood Reporter wrote, Fox’ election night numbers were a far sight larger than the ratings Griffin is questioning. Nielsen has not responded to Griffin’s claims.